This weekend I was thinking that I’d like to write a post on the power of knitting and how it can really help get you through some tough situations…and maybe a bit more on that later in the week, but it was fortuitous that as I was thinking about writing this post I saw a tweet from designer Erika Knight about her wool being used in something fantastic called the Knit Quit Kit. The kits are designed by Vanessa Bracewell; she had smoked for 30 years and in the summer of last year decided to give up. Vanessa turned to knitting to help beat the cravings of nicotine withdrawal and soon struck upon the idea for the kits. You can read a bit more about her story here. When I decided to give up smoking I was already having a tough emotional time. I was wandering aimlessly in a shop one day when I was passed a display of Patons FAB. I randomly selected a ball and some 4mm steel pins. I say randomly because I guess it wasn’t what I had gone in for, but it was intuitive on some level because I knew I needed something to get me through. I was driven to despair with nicotine withdrawal and by all the connections I had to nicotine and smoking: I had a cup of coffee and so I wanted a cigarette; I finished a nice meal and so I wanted a cigarette; I was waiting and inordinately long time for a bus and so I wanted to smoke; I was feeling hugely emotional and moody due to the effects of nicotine withdrawal and so I wanted to smoke even more! I needed something to do with my hands and during the cravings this was even worse. I had knit as a child and always been around knitters, but as I sat with my purple acrylic and my long needles I realised I had forgotten how to even cast on! How I wished there was such a thing as Vanessa’s kit then! The kit contains everything you need to help put your mind and hands to other challenges when attempting to give up smoking, from easy to follow patterns, bamboo needles, pretty cakes of Erika Knight’s British wool and all the accessories you need to make the three different kits; an owl keyring, knitted bracelets and a drawstring purse kit. As I mentioned, the cigarette packet style boxes contain British wool from Erika Knight’s British Blue Wool range – 100% British blue face Leicester. I can’t think of anything nicer for these kits. 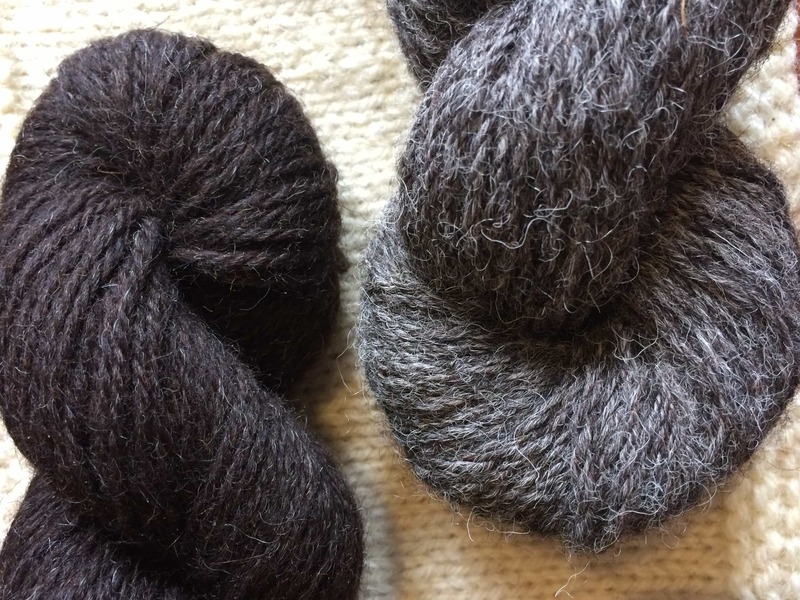 BFL is soft, lustrous and knits like a dream…it’s also machine wash at 30 degrees! My ethos is simple: to keep sheep grazing our beautiful landscape, to promote our unique British sheep breeds and to make it all here in Britain, producing a distinctive British product. Wool is naturally soft, comfortable and sustainable, making it the ultimate fibre for the hand knitter. 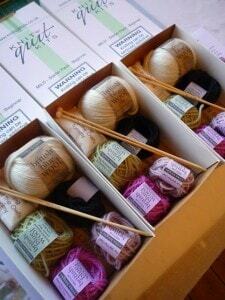 I wish I had discovered the wonders of wool for my first skein, rather than acrylic. I now know the sensory wonderfulness of knitting with BFL and how soothing a fibre that will be in the pursuit of knitting to calm the senses; gliding through the fingers like buttery silk. Thankfully, after discovering Knitty I managed to remember how to cast on and I was off. Every time a craving hit, or I felt my mood change due to smoking withdrawal I knit another little bit. It helped immensely. It took another attempt at it before I gave up for good (and IT IS for good!) but knitting was truly helpful: it gave me focus when I thought my only focus was on smoking and before I knew it I had a new addiction! Are you thinking about stopping smoking? Maybe you have recently given up and struggling, like I did, with cravings or with the total mind-bender that is nicotine’s effects on the brain. If your hands are looking for something to do and you think a new hobby could help you, then seek out a Knit Quit Kit. My first bit of advice though, is find your local smoking cessation group. Some people baulk at the idea of sharing the horrors of quitting smoking with a group, but give it a go – you are four times more likely to stay stopped and honestly, while knitting was a saviour, it was the support of the group, the help of the trained NHS staff and the nicotine replacement therapy that helped me. Going cold turkey is fine for some – even cold turkey + knitting – but many of us need a bit more to help us kick the habit. I am so entirely pleased to see Vanessa’s fantastic initiative and thrilled that the contents are full of yarny goodness that supports the British wool industry. I like that these are beginner kits, as giving up smoking is a good incentive to start a new hobby – but there are also plenty of knitters out there who might want to give up smoking too. Perhaps a kit aimed at a more experienced knitter would be a future plan… something to treat oneself with for reaching your quit date, or an incentive to keep going – we can easily be swayed with yarn, y’know. 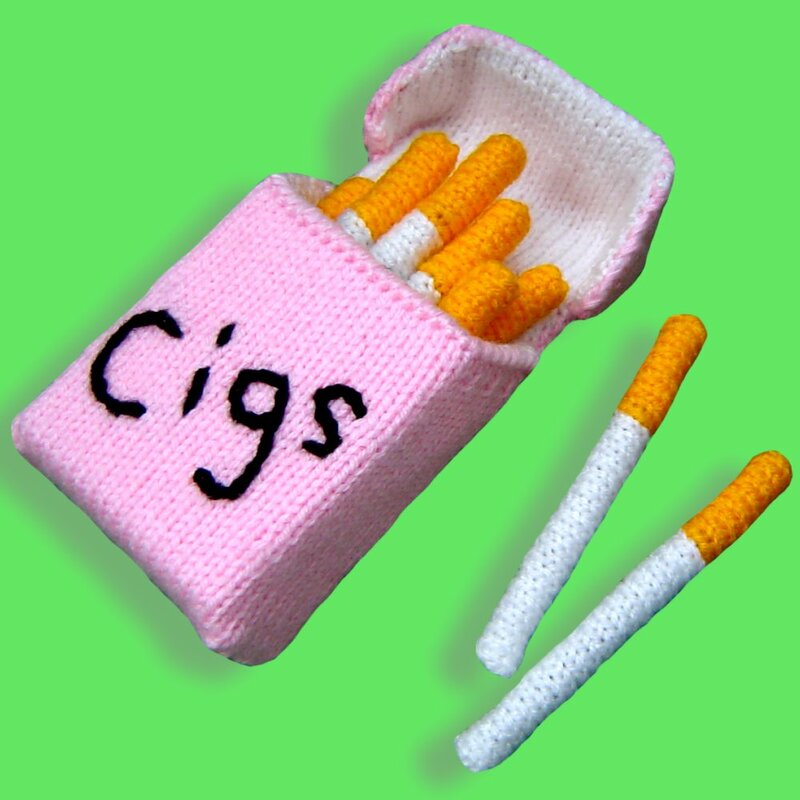 The Knit Quit Kits costs £17.99 – which is roughly the cost of 2 packets of fags – and I know that Vanessa has been inundated with interest and there has been a bit of media coverage in the last week. Well done to her, I hope the kits help lots of smokers become ex-smokers! If you are thinking about quitting, have already quit or have stopped for quite a long time then well done. It is a hard road and not an easy course, but there is a lot of help available and lots of people who have gone through it to cheer you on. Its a hard thing to decide to quit and it can take an impetus to stop that resonates with only you. Maybe more on the power of knitting later this week. Please check out the NHS for information on stopping smoking and there are also some helpful phone lines you can call for advice. Knitting absolutely helps when you’re feeling tense. 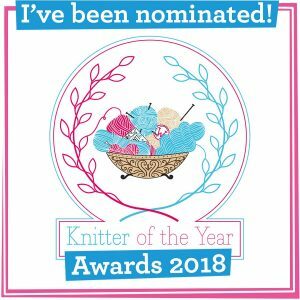 When I wrote my dissertation on the community of knitting, I has many stories from knitters telling me how they had to knit each day as a way of dealing with stress. 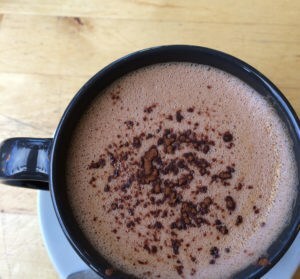 It’s soothing and meditative and you can see real progress after each time – so important when you feel you’re getting nowhere in other aspects of your life. What a brilliant idea by Vanessa and Erika. I hope others find it useful to ease away their tension. You are so right! When you feel without direction you can look at your knitting and see how far you have come and how much you have achieved. Katy I would love to read your dissertation. 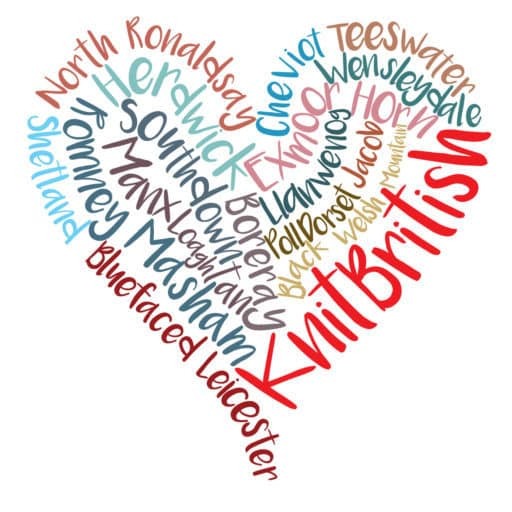 I have been writing a bit on the community of crochet but I find it really interesting and inspiring to hear individual stories of how knitting (and crochet) has had a positive impact on peoples’ lives. I was a 20 a day smoker for over 30 years, I could not have given up without the aid of nicotine patches, and my knitting. Knitting gave my hands something to hold in stead of the cigarettes. For every pound I saved on buying cigarettes , I purchased beautiful expensive yarn to make a patchwork cardigan, which I still have eight years later. And no , I have never smoked again. If I can give up, anyone can. These kits are a fantastic idea! Most importantly, my three children were the most proud. I haven’t kicked the habit of buying expensive yarn though. Never mind, that’s not going to kill me. great idea! And I like your idea of a non-beginners kit too. Knitting can help you through all sorts of things, for me it was the thread/yarn that kept me connected to the world when I was in the deepest darkest well of depression, I’d even go so far as to say it cured me, but it’s probably safer to say that knitting allowed me to own my depression, rather than to have it own me. What a brilliant idea, thanks for sharing Louise. I know a quiet a few folk from my travels who have used knitting as a quitting method.It keeps the hands busy, the mind active and even better a completed project at the end. The power of stitching shouldn’t be underestimated! Why have I got Star Wars quotes running through my head now? Thanks again & will certainly be passing info on. I had a friend who used knitting to help her control her eating disorder, particularly the obsessive eating part of it (she was having CBT as well, but claimed the knitting was more useful). Personally, I can’t remember knitting playing much of a role when I stopped smoking, I’m afraid – the fag I found most difficult to ditch was the post-lunch one, when I didn’t knit – but I did pop out into the garden for some quick tweaking and weeding instead (I work from home), which probably fulfilled some of the same role. I so need to get one of these!